People heading to Karachi on holiday are advised to arrange medical travel insurance after fears over the spread of dengue were revealed. Health experts warned ministers over the infection spreading in late summer and early autumn after heavy rainfall was forecast for the coming weeks and into September. So far this year more than 130 dengue cases have been reported in the Karachi region after a further four were revealed on Friday. Local people and travellers were advised to cover themselves in insect repellents to keep mosquitoes away. They were also urged to wear suitable clothing to reduce the amount of exposed skin. Meanwhile, local officials were advised to clear the streets of stagnant water amid warnings it provides fertile breeding ground for mosquitoes. Pakistan Medical Association (PMA) central leader Dr S M Sajjad Qaiser said August and September are primary breeding months for the insects, with the rain creating new breeding pools. 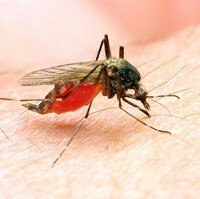 The World Health Organisation says people contracting dengue will begin suffering symptoms between three to 14 days after the bite.